Get Ready Tampa Bay!!! World Class Soccer in Tampa Bay This Weekend at Raymond James Stadium!!! Pardon the enthusiasm, but I am super pumped! In just a few days, I and hopefully you as well will be sitting in the friendly confines of Raymond James Stadium for some world class footballing action as Group C of the CONCACAF Gold Cup will take place! Canada will face off vs Guadeloupe, and the US will square off against a very tough Panama side at 6 and 8 p.m. respectively and I know that I will be surround by all of the soccer faithful fans in the Tampa Bay community! For those of you looking to either tailgate at the stadium or participate in any of the pre-game festivities, our local US Soccer supports group The American Outlaws will be in attendance and supporting the US team as they look to secure a spot in the next round. 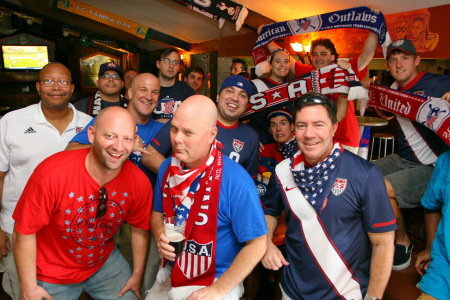 For the Gold Cup game here in Tampa they will have a meet & greet Friday night at MacDintons Irish Pub, with spillover into its sister bar across the street, Yard of Ale if necessary. Saturday, they&apos;ll will be back at MacDintons at 10am, up until the buses start taking supporters to the stadium at 2:45 (running nonstop until 4:45). The price is $10 for AO members that sign up by contacting the guys over there via Facebook or $15 for nonmembers, all money due that morning of at MacDintons. The tailgate will take place in lot 6D of the RayJay parking lot, kickoff at 8, and the buses will be returning to MacDinton&apos;s running from 10:15 to 12:15. Where the victory celebrations will continue! 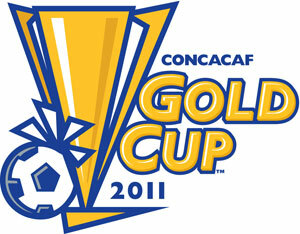 Okay folks, that&apos;s all for now, but be sure to get your tickets for this and check out www.VisitTampaBay.com/GoldCup for more soccer related Tampa Bay Sports information and Tampa Bay area events!